from the blue chair: Some bee blocks and a new book! Some bee blocks and a new book! Another month of bee blocks ready to ship. This first one is for Corey from Little Miss Shabby. She posted a tutorial here. This block was a rough one. It was a lot of work. When I first saw the block I loved it and thought it would be great to make a quilt from a bunch of these blocks, after doing just one block, I think I'm good. I don't know that I'll be doing it again. I love how it turned out though. She chose such pretty colors. The second block is for Megan from Canoe Ridge Creations. She asked us to use this tutorial from Six White Horses. I love this block. I actually did this same block last month for Brioni in my Stash Trad Bee. I love this star and I think I could make a whole quilt from them someday. 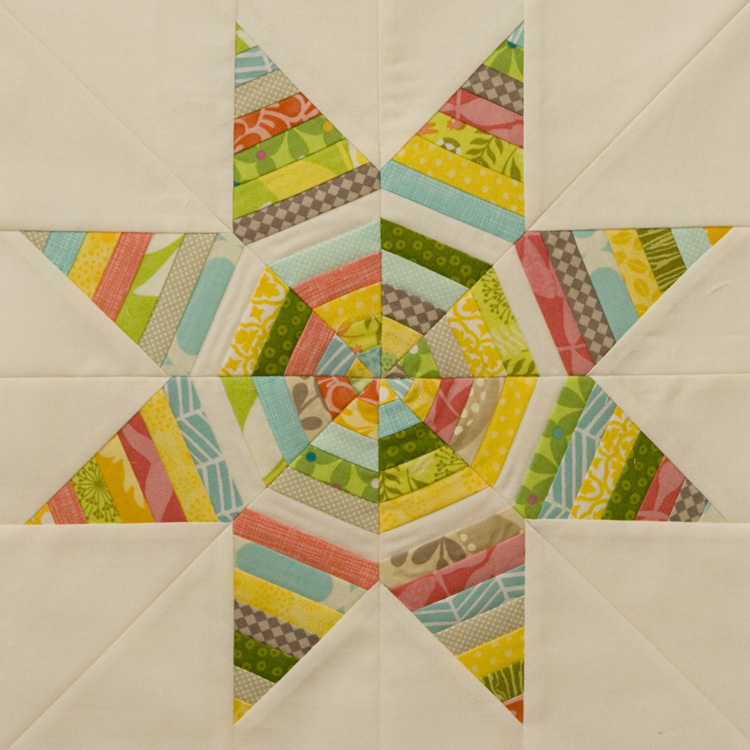 It's a great tutorial and fairly easy paper piecing. 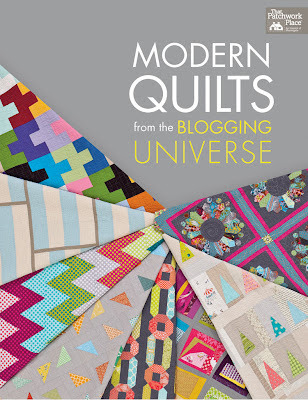 Finally, I have some fun news I can finally announce--I have a quilt in a book that will be released in December. It's officially on Amazon! You can see images of every quilt on the Amazon listing. There are some fun ones. Here is my quilt for the book. I sent this quilt off to Martingale last December so I haven't seen it in a very long time. It was a stressful process, but I'm glad I had the chance to do it. Your stars look great. Make me want to pick up paper piecing again. Eeeek!! So so exciting Kati! That book looks awesome, I'll for sure be picking it up :-) oh and your stars look great too!! Beautiful blocks. And how exciting to be published!!! Thank you so much for this post. I want to let you know that I posted a link to your blog in Creative Busy Bee Craft Inspirations, under the Page 4 post on Sep. 12, 2012. Thanks again. How exciting! You know you are really somebody when you can find your face on amazon! 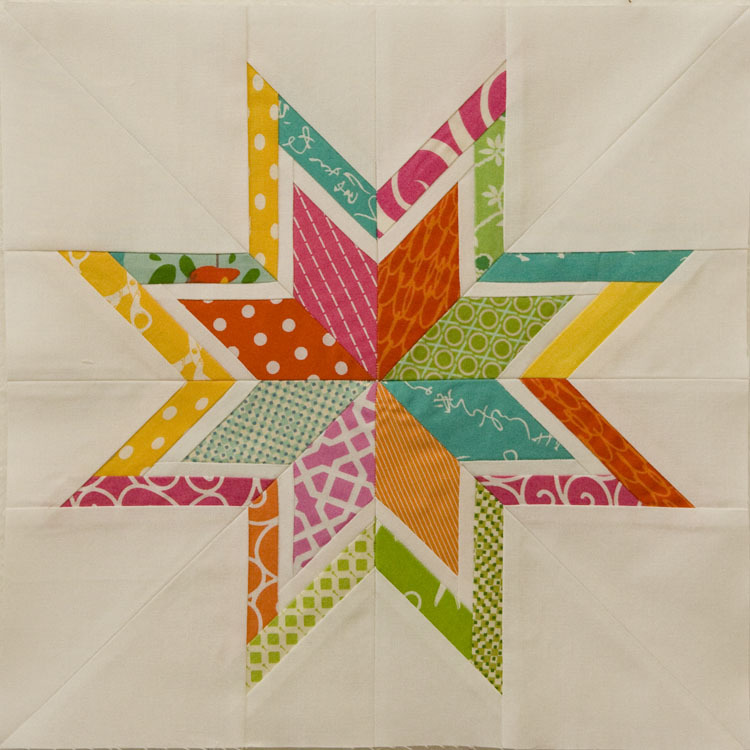 Love your quilt for the book, and your stars are fabulous! Congrats Katy - how amazing is that and so deserved as you really are one of my favourite quilters. Beautiful bee blocks too. That quilt is fantastic! Beautiful job! The star blocks are beautiful! And that's so fun about the book! 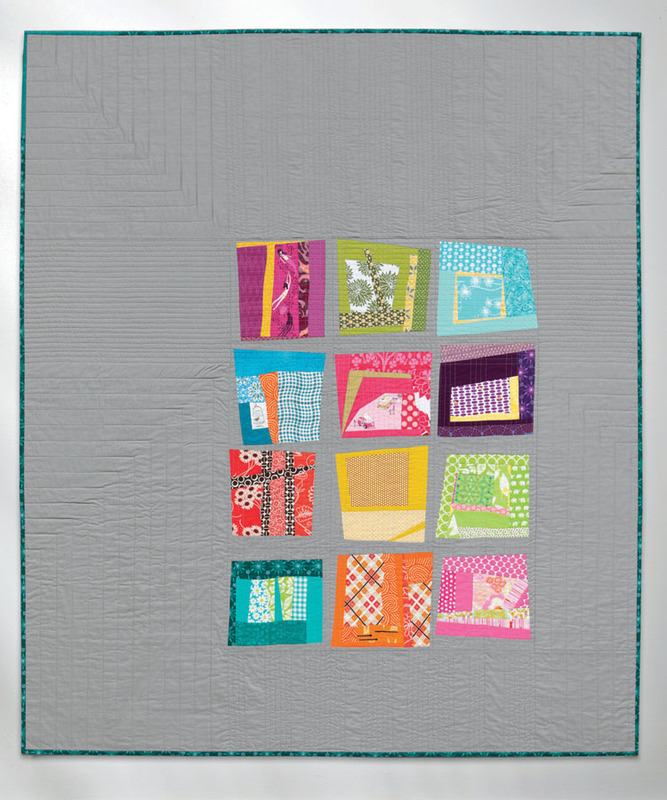 Your featured quilt is beautiful! Woo hoo! Congrats, Kati! Love the stars! The stars both look fab, but lots of work! 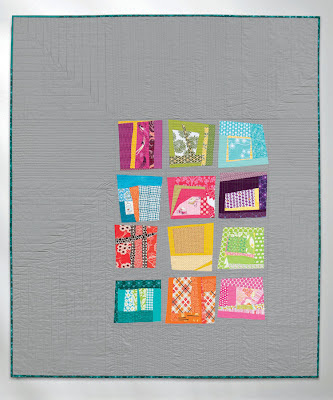 I love how you framed those wonky blocks in that quilt, very nice! congratulations! Congrats!! How exciting and the book looks so inspiring and chock full of amazing quilts. Yours is a great addition! I'm glowing with pride for you Kati! Way to go. You are so amazing, and I love that you are in the history books now! Kati, that's amazing! Congratulations girl! I can't wait to check it out. And your blocks are gorgeous! Even though that top one was crazy to put together I'd say it was worth it. It's fabulous! Congrats Kati what awesome news!!! I can't wait to go check it out. Gorgeous blocks Katie! Congratulations on your quilt being published! :) Way to go! Love these blocks. So nice! So much goodness! Love the star blocks, and congratulations on the book. Your quilt is fab. How exciting! So happy for you, your quilt looks great. What an honor to be in this book!